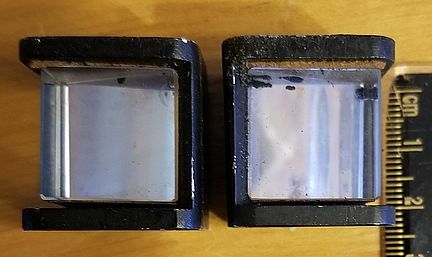 3 prisms, face = 53MM x 28MM. 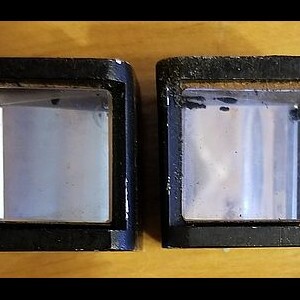 2 Right Angle prisms face = 40MM x 28.5MM. 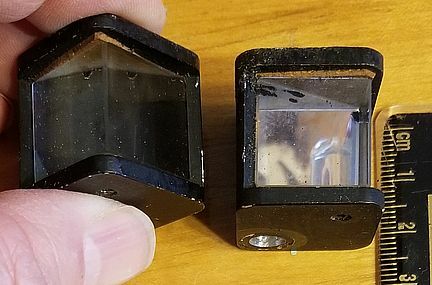 1 90 degree prism w/small chip face = 22MM x 47MM. 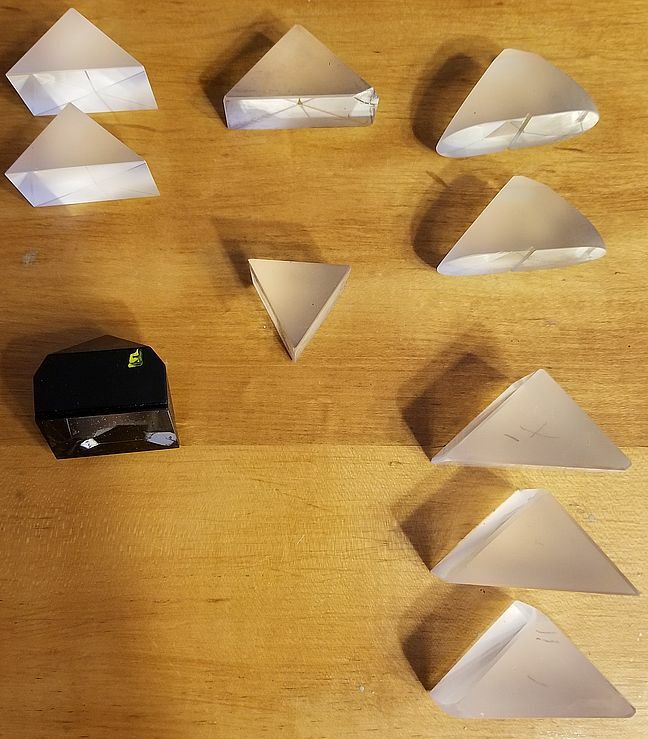 1 equilateral prism face = 30MM x 30MM. 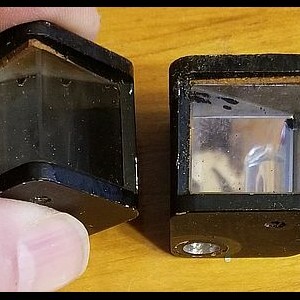 Black prism face = 36MM x 22MM. 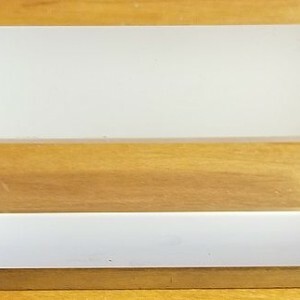 Rectangular prism on aluminum base, faces = 80MM x 30MM. 2 corner prisms faces = 20MM x 20MM. $25 for all, I pay shipping to lower 48, I take PayPal.